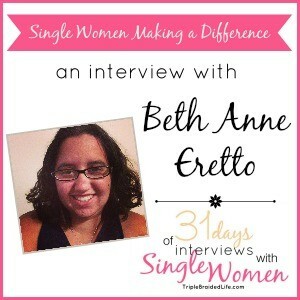 My blogging friend Brenda interviewed 31 different single women as part of her 31 Days of Blogging series. I was single lady number 29! Head over to her blog and read my interview! This was a lot of fun to write and made me really think about myself and how I view life and my state of life. Win A $100 Hot Dog and Cotton Candy Giveaway! !